Our bookstore is located next to the church office and is open Sunday mornings, and some other times if you call us (303-665-4013). We carry Orthodox books and icons for both children and adults. We have over 286 titles. 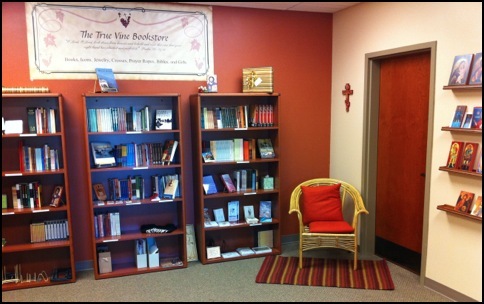 Our church library, with 424 titles, is located in the parish hall for the use of church members.